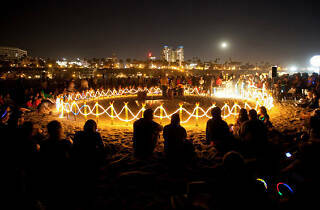 Photograph: Courtesy Glow Howling at the Sun by 18th Street Art and LA Commons at Glow 2010. 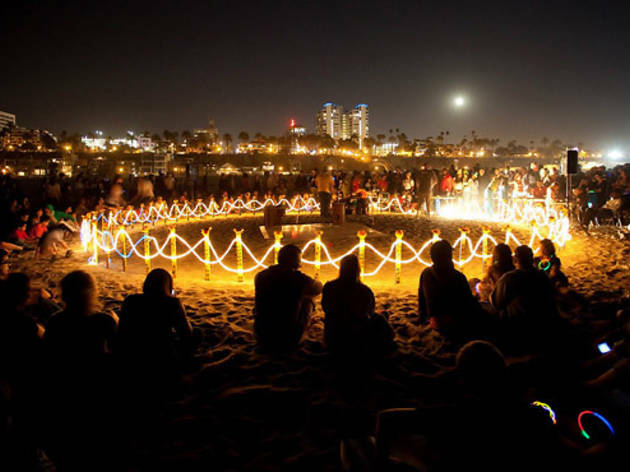 The Santa Monica beachfront transforms into a patchwork of site-specific artwork during Glow, the free, all-night art festival. Musicans and performers, including keynote artist Janet Echelman, shed pretense for community with interactive installations that make contemporary art a bit more engaging for your average visitor; there aren't many other art events where you can expect to see families out at 2am. Make sure to download the Colorfields app from artist Steve Boyer beforehand to take part in a live, changing sea of light and sound.